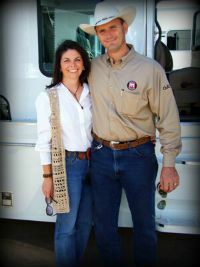 Circle M Trailers is a family owned and operated horse trailer dealer in Kaufman, Texas. We are the only Texas trailer dealer for Platinum Coach featuring Outlaw Conversions -- both premier names in the industry. Stop by our sales lot to see our inventory. Can't find a horse trailer design to match your needs? Our team can design a custom coach with a one of a kind interior. 2019 Platinum Coach Outlaw 5 horse 13&apos; SW SIDE LOAD + BUNK BED! !